The Hedgehog Hollow is collaborated with Pretty Pink Posh for their December release of Hedgehog Hollow Box. 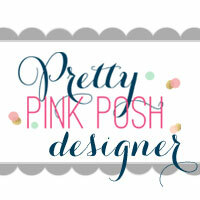 As a Pretty Pink Posh creative designer, I got to play with them with you all. The box contains four not-yet-released Pretty Pink Posh products and one Hedgehog Hollow exclusive Square fireworks Stencil. That’s all you need to make some New year’s greeting cards. Get them while you can! I made two cards so far using the products in the box. My first card is a shaker card. To make this card, I cut an A2 sized card base out of a piece of watercolor paper and ink blended it using Tim Holtz Distress oxide ink in Squeezed Lemonade and Picked Raspberry. 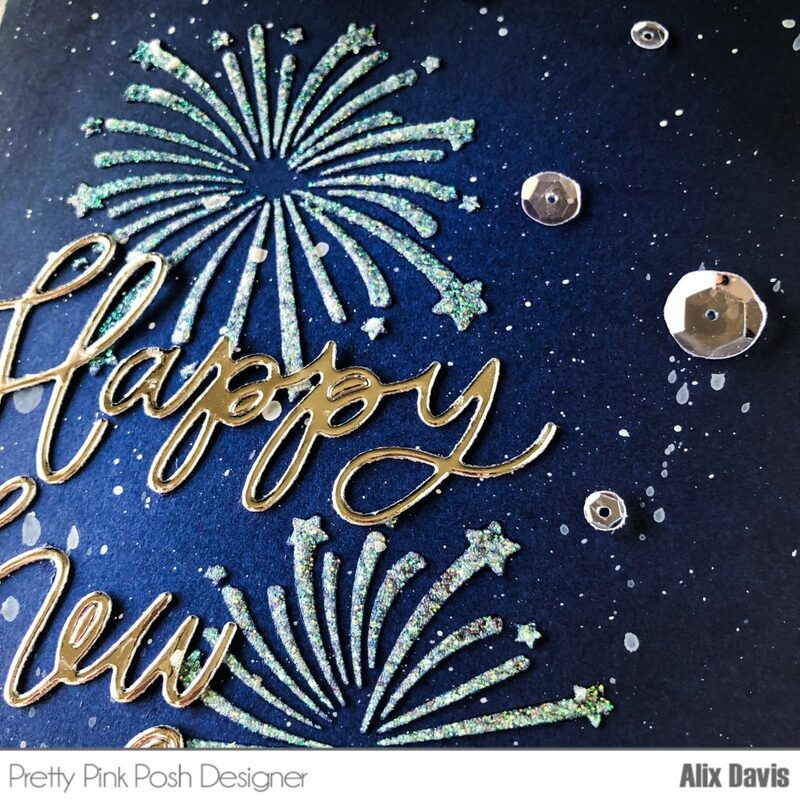 Then I stamped sentiment “Happy New Year” onto the background using Memento Tuxedo Black ink. I cut the top frame using Pretty Pink Posh Scallop Frames Die out of Champagne gold glitter paper and adhered a piece of acetate paper underneath. I added Foam tape to attach the top frame onto the background. Before I close up the window, I randomly poured some sequins that comes with this December release box. Now our shaker window is finished. To decorate this window, I copic colored couple penguins from Pretty Pink Posh Penguin Pals stamp set and cut with coordinating dies. I also colored the images from Happy New Year Stamp set and cut with coordinating dies. I arranged all colored images and embellished card with couple of sequins. I wanted to make a simple card that can be mass produced. So I decided to use my new learned skill – dramatic contrast effect. I grabbed a piece of cardstock in Navy blue. After cut it into an A2 size, I ink blended the edges using Tim Hotlz distress ink in Black soot. I masked the background using the stencil in this box and applied Nuvo glimmer paste in Moonstone.over it. Remember to wash the stencil right after using it to avoid any damages. You will have about 5-10 mins until the paste dried based on where you live. 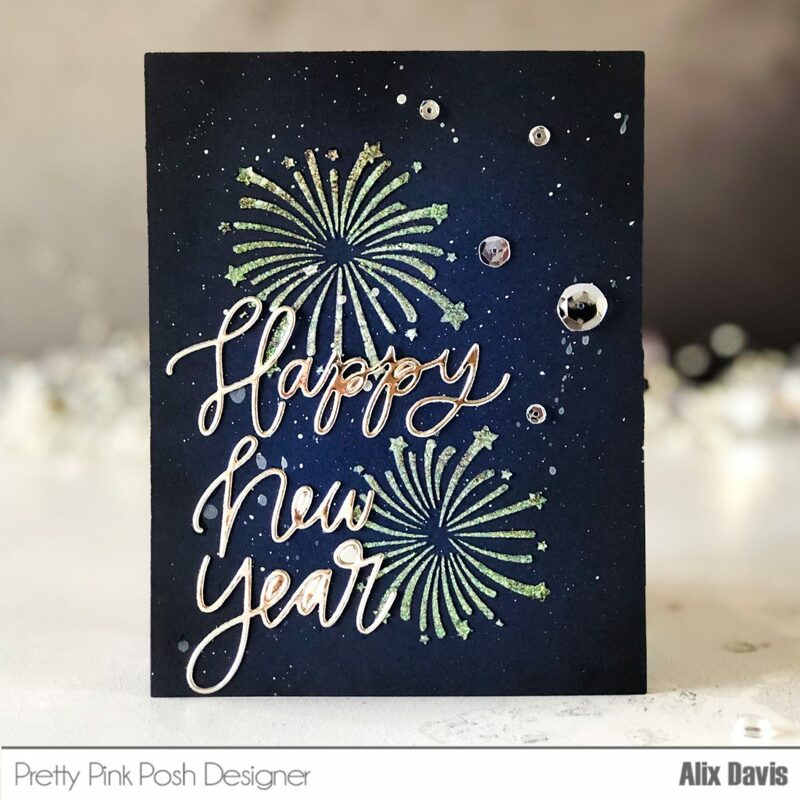 I splattered some white ink over the background to create starry night and I also added some Pretty pink Posh 6mm Sparkling Clear Sequins, 4mm Sparkling Clear Sequins and 3mm Sparkling Clear Sequins to brighten the background up. At last, I cut the sentiment using Pretty Pink Posh Happy New Year Script Die out of Silver foil sheet in the box and adhered them onto background to finish this card. What is this The Hedgehog Hollow Box? So basically, You spend $39.95 and you will get $50+ worthy products in this box. 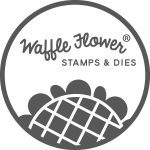 For my readers, You could enter coupon code: PPPDecember to receive 10% off one-of box. I hope you enjoy my cards and take some advantage of this awesome deal! I will see you around tomorrow for another fun post! 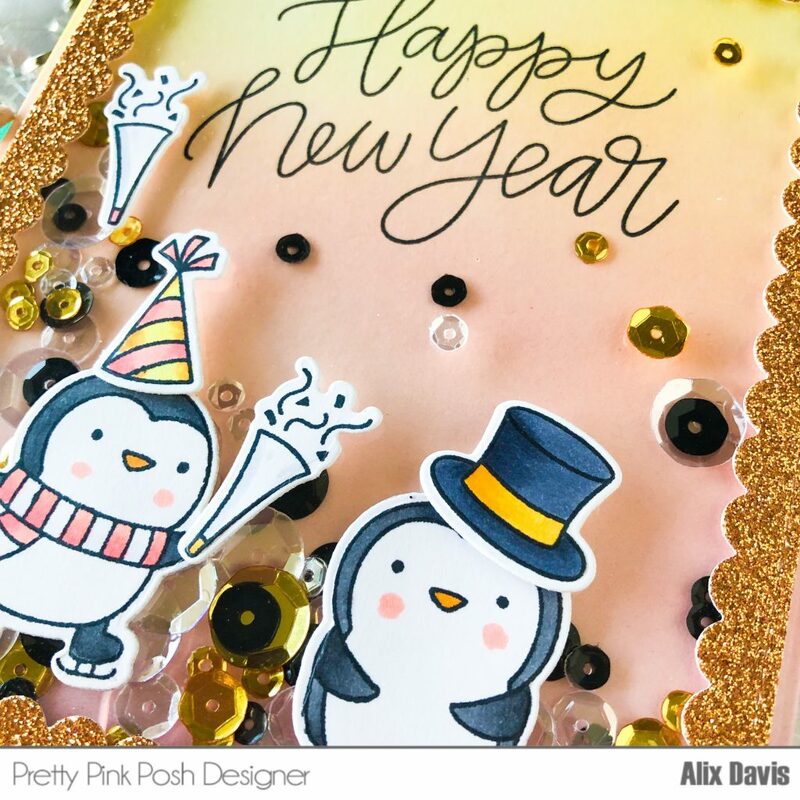 This entry was posted in Cards and tagged Collaboration, Pretty Pink Posh. Wow, Alix! Both of your cards are fabulous! I really love how you blended colors for the backgrounds! Thank you Renee. Be sure to leave under mft release post to get the chance to win gift card!